Following a multi-million pound investment nine existing farm buildings have been renovated and two new cottages built to create 11 luxury self-catered holiday properties. 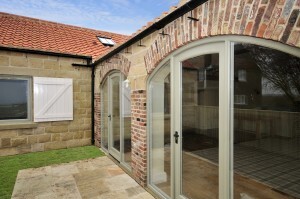 The 11 new lets complement the four existing holiday properties at Scalby Lodge, bringing the total to 15, all of which are available to book through www.duchyoflancasterholidaycottages.co.uk. A reception area, games room and outdoor play area have also enhanced the site. All properties, which range between two and five bedrooms, follow the Duchy’s high sepcification design code and feature traditional and locally-sourced building materials such as pantiles, stone walls and timber frame windows and doors.